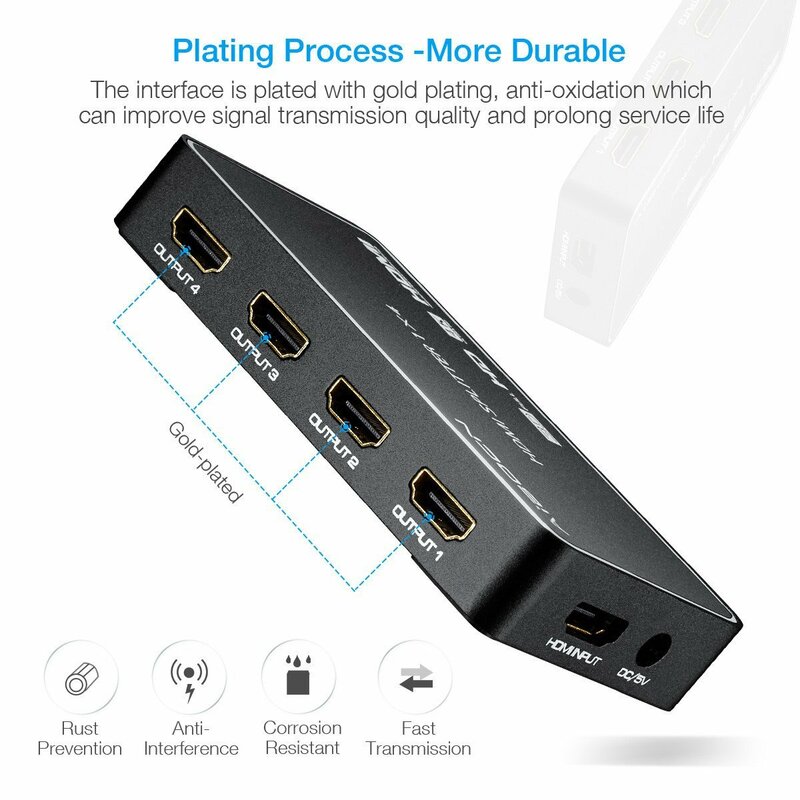 This HDMI splitlter is able to distribute 1 HDMI source to 4 HDMI displays simultaneously without loss in quality. 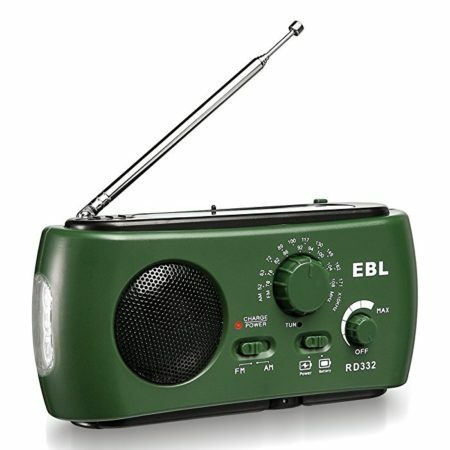 It almost supports all available audio options: DTS-HD/Dolby True HD/ LPCM 7.1/DTS/Dolby-AC3/DSD master audio. 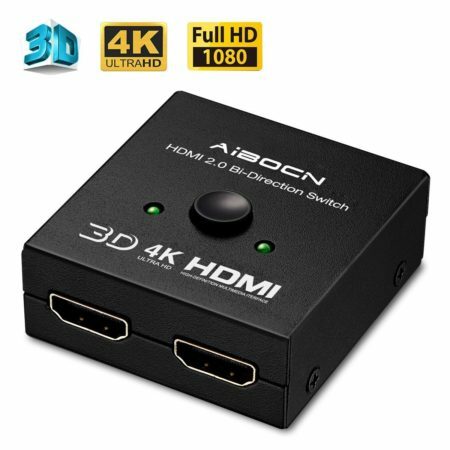 It supports 576i/576p/720p/1080i/1080p/4k Resolution & 3D, Deep Color 30bit, 36bit, 48bit per pixel. 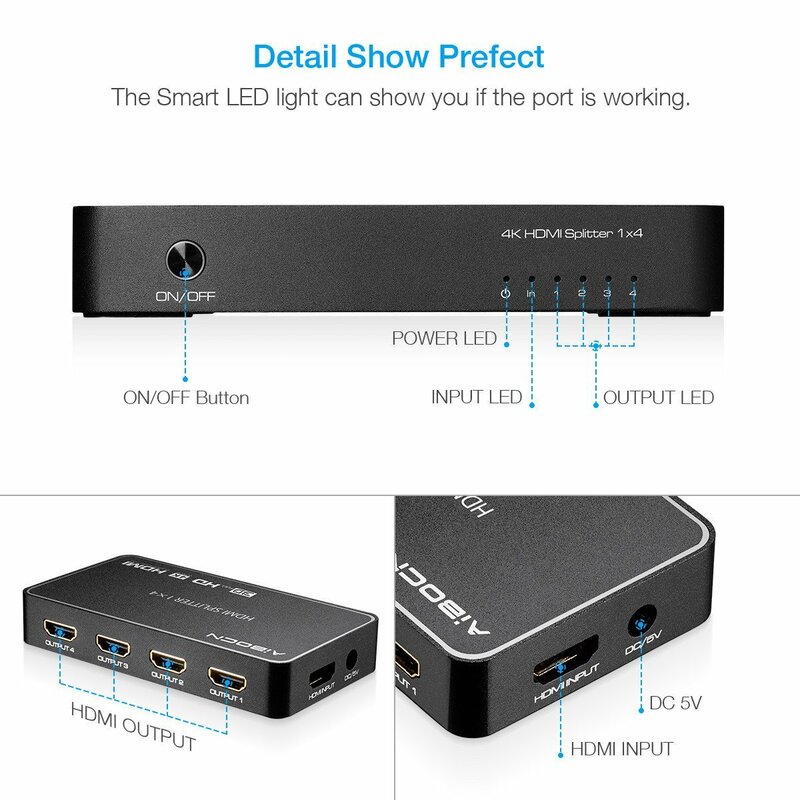 Output Video: HDMI 1.4a + HDCP1.0/1.1/1.2/1.3, Input Video Signal: 0.5-1.0 volts p-p, Input DDC Signal: 5 volts p-p(TTL). 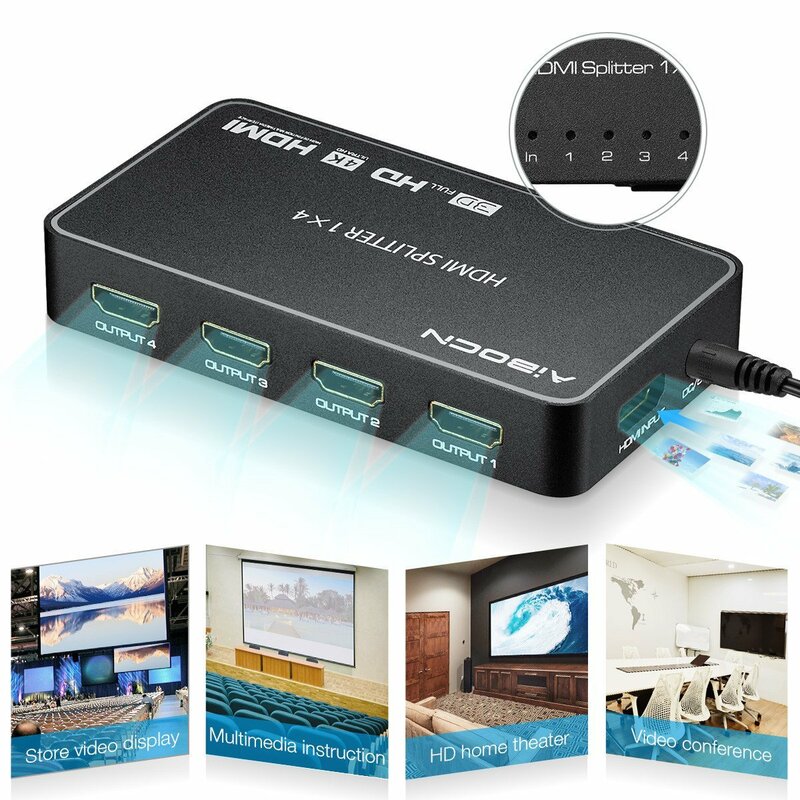 This 1 X 4 splitter comes with a 5V AC adapter for more conveniences in use. 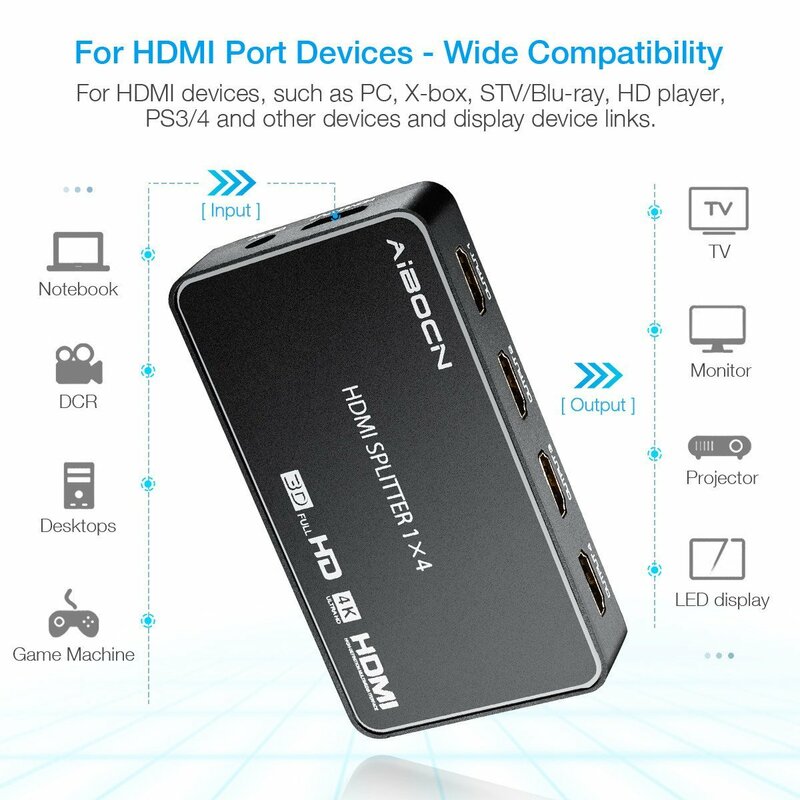 Aibocn uses the most advanced HD technology for this HDMI splitter. 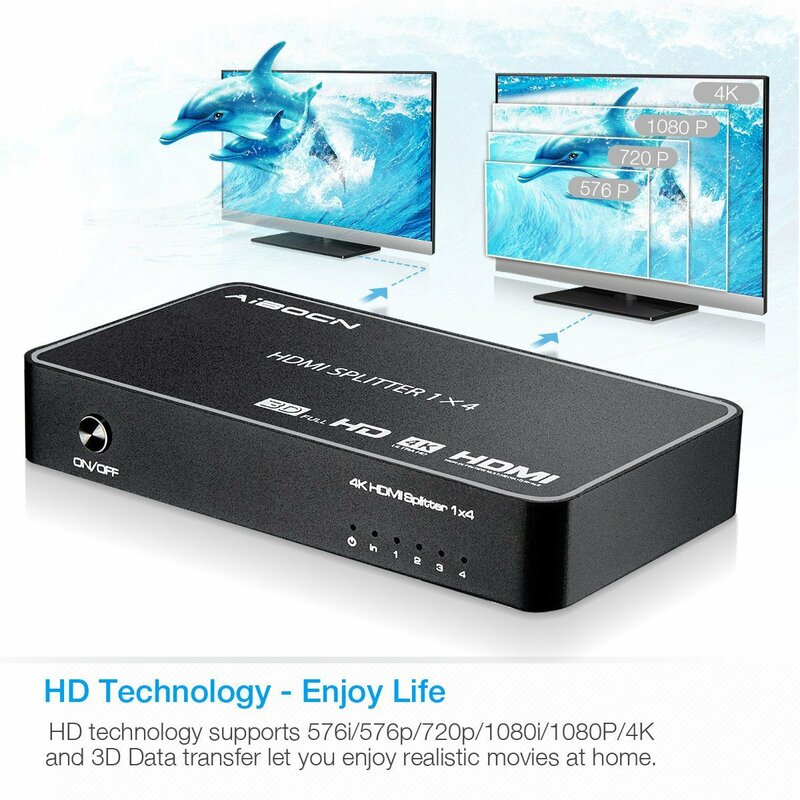 It widely supports 576i/576p/720p/1080i/1080P/4K and 3D Data transfer. You can feel relaxed to enjoy super HD movies and videos at home. 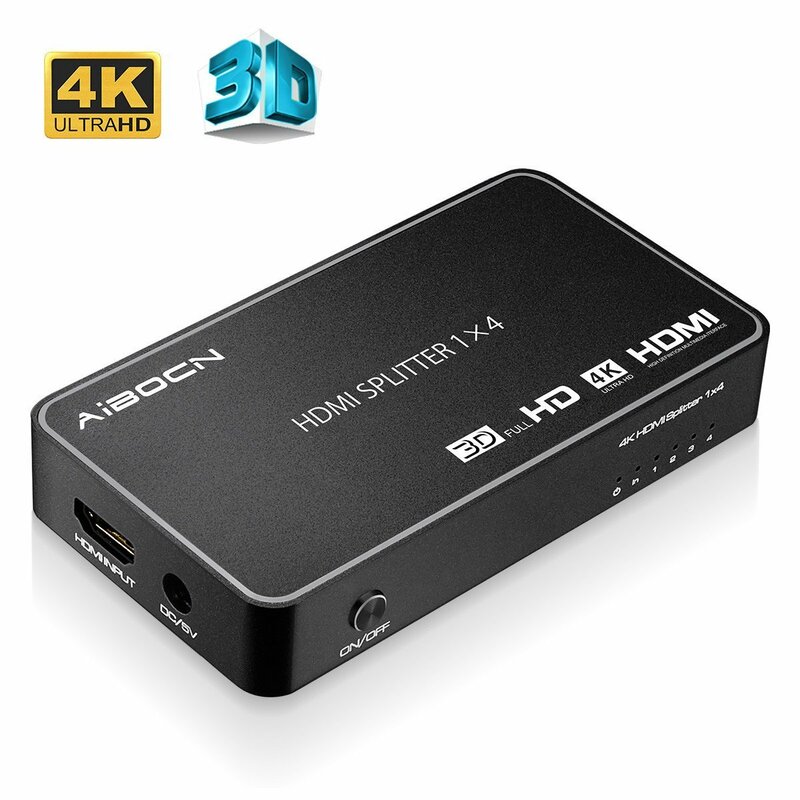 The spilitter is designed to work for HDMI devices, such as PC, x-box, STV/Blu-ray, hd player ,PS3/4 and other devices and displays. 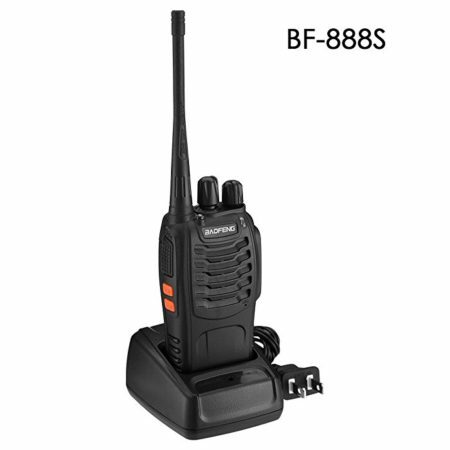 It has an integrated advanced chip to optimize the high definition quality. 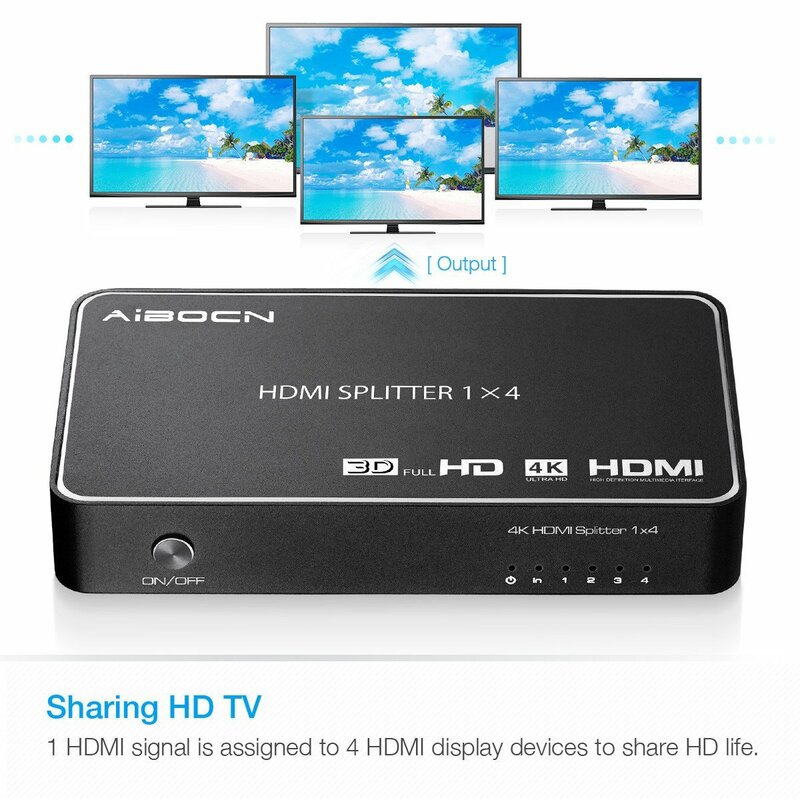 This Aibocn HDMI Splitter is a reliable splitter unit with safe power supply. 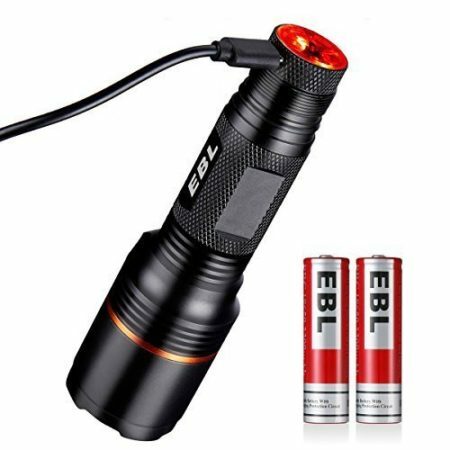 When current exceeds the predetermined maximum, the protection device starts the automatic protection mode (with the 5V 1A power adapter).